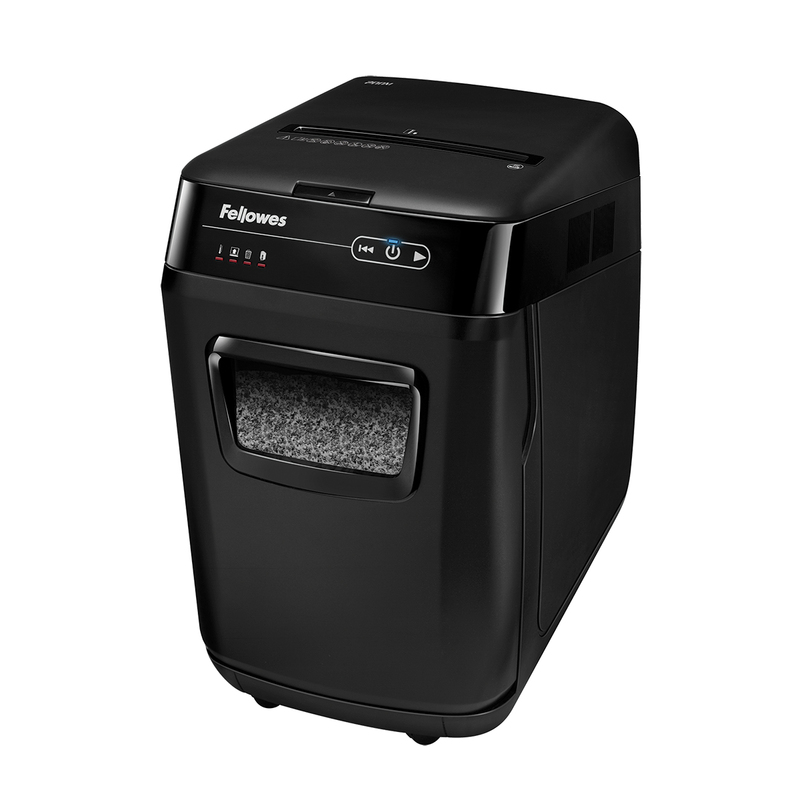 If it’s fast, reliable and automatic shredding that you’re looking for, then look no further than this Fellowes 200M shredder. Fellowes goes further than ever before to protect your security with an optional 4 digit SmartLock feature that helps keep your confidential documents secure while they are being shredded. Don’t worry about disturbing those around you as the SilentShred function offers an extremely quiet performance. This fantastic 200M shredder also shuts down when not in use for 2 minutes with the sleep mode function, making this shredder very cost efficient towards your energy bill. With a sleek yet compact design, this shredder fits perfectly next to or even under your desk without looking out of place in its environment.